Four MantaWatch Alumni have received an award from the Conservation Leadership Programme recognising their high-priority conservation work. Vidlia Rosady (MIP-2013), Niomi Pridina (MIP-2014), Retno Ningrum (MIP-2016) and Amelia Nurkumala (MIP-2016) received the Future Conservationist Award for their project “Reducing Mobula Bycatch within Indonesia’s Small-Scale Fisheries”. Mobula rays are highly migratory. With low reproductive rates and late maturity, the IUCN Red List classifies the species as vulnerable to extinction. This group has received international conservation attention, and in October 2016 was listed under the Convention on International Trade in Endangered Species (CITES) Appendix II. It is a priority group for conservation management in Indonesia, where efforts to date have focused on target fisheries and illegal wildlife trade. However, bycatch is a major threat, and these MantaWatch Alumni are working to find a solution. Once sharks and rays become entangled in fishing gears, they have low rates of survival. Even if fishers practice good handling and release techniques, mortality rates remain high. 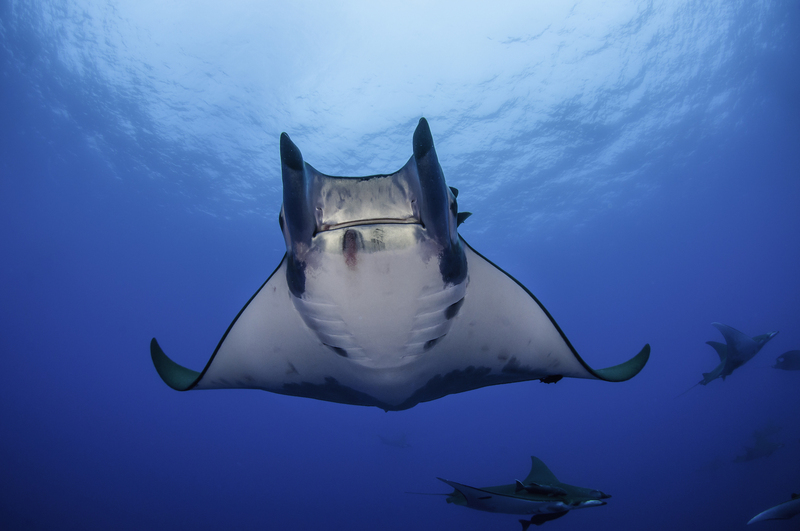 This project aims to reduce interactions between mobula rays and fishing gears, and increase awareness of small-scale fishing communities to affordable and appropriate bycatch mitigation strategies. The Conservation Leadership Programme is a partnership of three of the world’s leading biodiversity conservation organisations: Birdlife International, Wildlife Conservation Society, and Fauna and Flora International. Drawing upon the expertise of conservation professionals from across the globe, it directs project funding and training to early career leaders from developing countries who are tackling priority conservation challenges. The Future Conservationist Award is presented to teams that exhibit leadership potential in biodiversity conservation and who will develop key skills through small-scale practical conservation projects. Award winners receive project funding, but also training and mentoring from CLP staff and partner organisations as they develop in their careers.